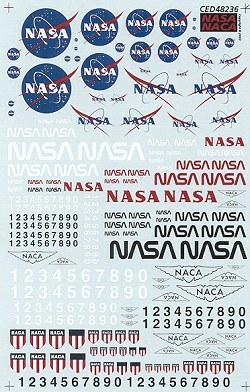 Those of you who were not able to get the fine NASA/NACA decal sheet produced by IPMS Tidewater several years ago will be quite pleased to learn that Cutting Edge has produced a sheet to meet all your needs. 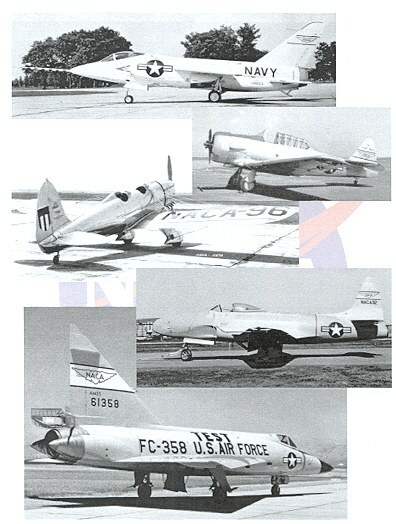 Though listed as a 1/48 sheet, there are a variety of sizes of markings from all eras of NACA and NASA to fit smaller kits. In addition to the various logos, there are a variety of numbers in both black and white (including some on a smaller sheet that isn't shown). Though no specific aircraft profiles are provided, there are a number of very good black and white photos included in the instruction sheet to whet your appetite! In addition, the sheet suggests visiting the various NASA websites for more info and photo coverage. The one at NASA Dryden has a particularly superb collection of photographs that will be useful to the modeler. If you would like your product reviewed fairly and quickly by a site that averages over 200,000 visits a month, please contact me or see other details in the Note to Contributors.